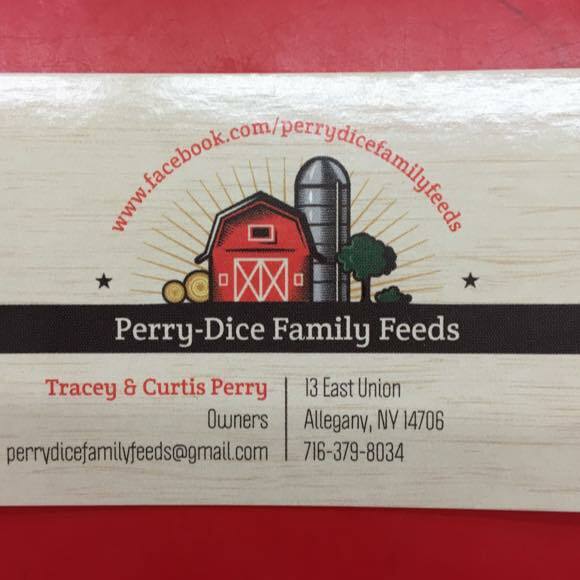 Perry-Dice Family Feeds is a newly opened store offering all natural, organic pet and livestock feeds. Go check out the top of the line horse feed. The store includes a do it yourself furry friend dog wash. Perry-Dice Family Feeds is a local family owned pet and livestock feed and supply store, specializing in Organic, All-Natural and Non-GMO products. They carry a variety of Grain Free dog foods, All-Natural, Non-GMO and Organic chicken feeds as well. Hours: Monday- Closed, Tuesday-Friday- 11am-7pm, Saturday- 10am-6pm, and Sunday- 12pm-5pm.